I am currently the feature artist at Raffles Hotel Dubai. A collection of my paintings are on exhibition in the lobby. These paintings were created during my 2018 residency at the hotel and are all for sale. If you would like to purchase one of these paintings, send an email to: art@giselledenis.com for a shipping quote. I live paint Thursday nights 5-8pm. If you plan on coming to out to watch me paint, please send me an email, art@giselledenis.com to ensure I am there that day. Ongoing exhibition of my art in the lower level of the hotel. If you plan to come out and watch me paint, please send me an email, art@giselledenis.com to ensure I am there that day. 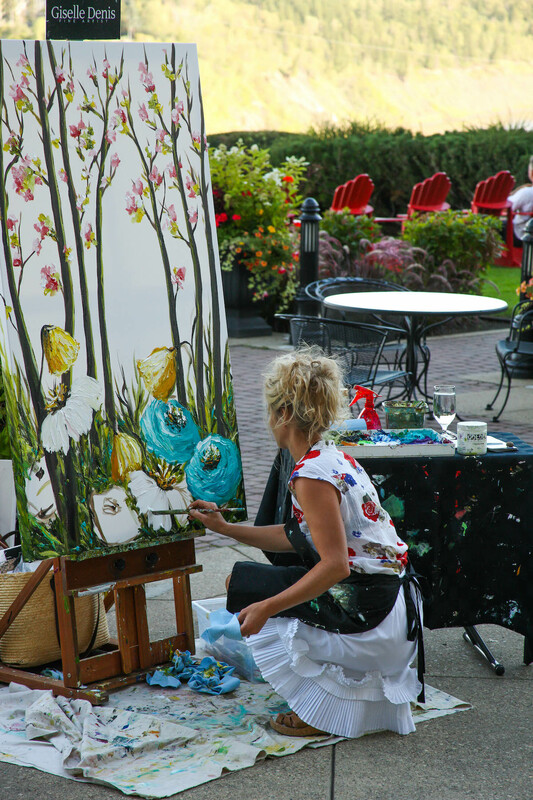 I love to create a painting live for the hotel guests. The pieces I paint live on location are for sale. Guests may purchase the piece I paint, and have also requested to see it in their home before they decide to buy. I do my best to accommodate each individual buyer. I have an ongoing collection of art displayed at the Hotel on the lower level.